Is wrist or hand pain due to carpal tunnel or a cervical pinched nerve? Many patients discover that they have been misdiagnosed after undergoing unsuccessful spinal or carpal tunnel surgery. In these cases, pain persists despite resolution of the original diagnostic scapegoat, since the true underlying symptomatic origin remains untreated. Unfortunately, this scenario is far more common than anyone would imagine. Carpal tunnel syndrome has become one of the most diagnosed and profitable conditions in the modern medical arena, despite the lack of logic supporting it as a valid conclusion in most patients. Similarly, pinched nerves are also incredibly commonplace in the diagnostic sector and once again rarely enjoy the benefit of objective evidence supporting their existence. This highly focused essay examines why carpal tunnel and pinched nerves often seemingly masquerade as each other. We will also propose alternative explanations for wrist and hand pain syndromes that might be more logical in many patient profiles. The cervical and upper thoracic spinal nerve roots from C5 to T1 serve the motor and sensory needs of the greater hand and wrist region. In fact, the neurological tissues that come from these roots eventually form the median nerve, which is the same nerve implicated in being constricted in diagnosed cases of carpal tunnel syndrome. Cervical nerve roots can be impinged upon or compressed by a large number of possible causative processes in the upper spinal anatomy. Since herniated discs and osteoarthritis are virtually universal in the neck, and other potentially stenosis-causing conditions are not rare, there are usually plenty of suspects that might be implicated in causing a cervical pinched nerve. It is vital to remember that when a nerve is compressed in the spine, the effects might be expressed locally, but will also certainly be expressed in the areas of the body served by the affected nerve tissue. In essence, if a cervical nerve from C5 to T1 is pinched, then the patient will likely suffer pain, tingling, weakness and/or numbness in the wrist and/or hand. Carpal tunnel syndrome describes a localized compression of the fully formed median nerve as it passes through the space formed by various small bones and tendons of the wrist and hand. In most cases, tendon hypertrophy and inflammation is the suspected cause, but in some patients, bony outcroppings are suspected of also potentially impinging on the median nerve. Carpal Tunnel or Cervical Pinched Nerve Pain? Both clinical diagnoses can cause wrist pain and hand pain in the exact same areas of the anatomy. Both conditions can also cause neurological symptoms, such as tingling, weakness and numbness in the wrist, hands and fingers. Both conditions are known to be treatment-resistant in the long-term, with few patients finding true lasting relief, despite many noninvasive therapies and eventually surgical treatment. True pinched nerves in the neck should not generate pain for long. Instead, patients should express ever-more objective versions of numbness and weakness in the specific regions innervated by the compressed neurological tissue. Meanwhile, carpal tunnel patients may or may not suffer ever-present and chronic pain and may or may not suffer a progression of symptoms towards weakness or numbness of subjective or objective varieties. It is easy to see why both conditions are often mistaken for the other on the basis of symptomatic expression alone. However, there are other similarities between the two diagnoses that make accurate identification of either condition a more complicated proposition. Degenerative changes in the neck are universally experienced and many of these changes are mistakenly blamed for compressing nerves when no actual impingement is occurring. This is due to the common use of MRI imaging to visualize stenotic foraminal passageways in the cervical spinal anatomy, while simultaneously not being able to visualize the nerve in question. Although stenosis is present, there is usually more than enough room to preserve the integrity of the nerve tissue and therefore no actual compression is occurring. It is now well known that foraminal stenosis is experienced by all as we age and that the middle to lower neck region is the second most common anatomical location for these changes to occur in the spine. We also now know that most stenosis does not compress nerve tissue and when it does, the condition should respond well to targeted therapy, which clinically, it often does not. All of these facts point to the epidemic rate of misdiagnosis suffered by many patients who are pronounced to have cervical pinched nerves using subjective opinion rather than objective evidence-based fact. Likewise, it is normal for the bones in the wrist to suffer arthritic accumulations and for the tendons to become mildly to moderately hypertrophic with age and activity. Therefore, a sampling of 1000 people might demonstrate identical imaging studies of the wrist and hand, including loss of carpal tunnel patency, while only a few will experience symptoms. Therefore, like the spinal nerve compression theory, there are many cases where the structural changes are incidental and innocent of causing any pain, although in patients who express pain, these same changes are virtually always damned as being the causative culprits once discovered. To simplify the main idea here, both the cervical spinal anatomy and the wrist anatomy suffer age-related changes to their structure that are considered normal. 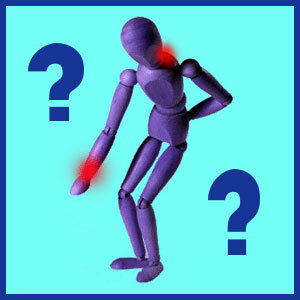 However, these changes are usually blamed for being the root source of discomfort when pain is present, instead of the obvious question being asked, “Why do most people with identical structural changes have no pain?” This is where the problems in diagnosis and treatment of both conditions surely reside. Tendonalgia is a very common ailment that can be linked to injury or repetitive stress. However, newer research shows that these tendonitis problems are often caused by ischemia linked to the psychosomatic process. Doctor John Sarno writes about carpal tunnel as being one of many manifestations of his tension myositis diagnosis, while many other physicians mention that most diagnosed cases are related to “unspecified soft tissue conditions of nonstructural origin”. Diabetes and some other diseases can attack the actual nerve fibers causing pain that is often located in the far extremities, such as the feet and toes or hands and fingers. Before undergoing treatment, and especially surgery, for either a cervical pinched nerve or carpal tunnel syndrome, be sure to have the condition evaluated by an objective neurologist who will perform testing designed to rule out diagnostic errors which are often committed by other types of care providers. Hundreds of people write to us each year telling how their carpal tunnel was originally diagnosed as a pinched cervical nerve, while thousands tell the opposite story that a cervical spinal problem was originally diagnosed as carpal tunnel. More telling is that regardless of which diagnosis came first, and which was a revised causative theory, many of these patients still did not find relief even after undergoing surgery to resolve both conditions. This is logical considering the high incidence of tendonalgia being related to an undiagnosed mindbody process.